Innovation and engineering has brought Agency Power to release their all new Intake Manifold Temperature Reducer Gasket. This gasket goes under your intake manifold to be spaced further out between the engine which reduces intake temperatures by 50-60 degrees Fahrenheit. By spacing the intake manifold away from the engine block with these gaskets, the reduced temperature results in a 3-9% gain in horsepower. The white UHMW material gaskets are good up to 275 degrees Fahrenheit. 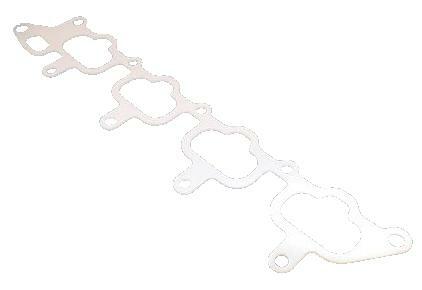 Unlike the competition, the gasket will not melt or leak under high horsepower applications. The high quality material dissipates heat between the engine and intake manifold. These are much more durable to this application then Teflon or standard gasket material. The gaskets are .0015 inches thick all the way around. These gaskets have a 90 day warranty against manufacturer defects as well as failure due to heat. When installing these gaskets, please note: DO NOT OVER TORQUE THEM.